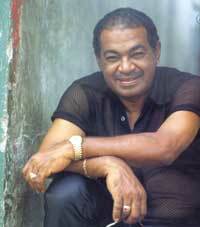 Rubén González is best known to the world outside Cuban as the pianist with Buena Vista Social Club. But if you haven't heard his solo album, 'introducing...Rubén González', trot off to the records store and check this man out. He has been called "A Cuban cross between Thelonious Monk and Felix the Cat." If you are familiar with either, you will know that this man's playing is full of life, curiosity, wisdom and all things old and new. Being from Cuban Rubén was introduced to music very young and became popular in the 1940's, when musicians played just for the love of the music. He comes from an era when piano players had to be able to be excellent sightreaders and record perfect on the first take. You can hear all this man has accomplished as a musician and a human being from the very second he places his fingers on the keyboard. 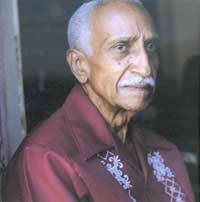 He was a living legend, in that he brings all that is Cuban music to his fluid and eclectically, jazz improvisations. Unfortunately, Ruben has passed on. The piano is not featured a lot in this groups repetoire, but stylistically, it holds the arrangements together and is an integral part of the music, eventhough Juan Formell's bass is the dominant force in the mixes. I hope to research this pianist and update with more on him in the future. 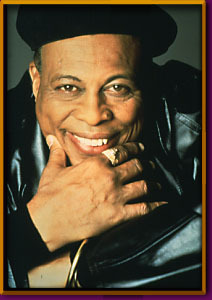 Chucho Valdés is the quintessential Cuban, jazz pianist. The son of legendary Cuban pianist Bebo Valdés, Chucho began playing the piano when he was three and by his 16th birthday was leading his own band. While his father defected to the U.S. in 1960, Valdés stayed in his homeland, forming first Orquesta Cubana de Musica Moderna (1967) and later Irakere (1973), which featured such lauded performers as Arturo Sandoval and Paquito DÕRivera. 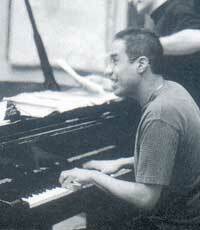 In 1993, Blue Note Records released his highly regarded Solo Piano album. Since beginning to tour in the U.S. four years ago, ValdŽs has released two other well-received Blue Note albums as a leader (Bele Bele en La Habana in 1998 and Bryumba Palo Congo in 1999) as well as performed and recorded with the All-Star Latin Jazz Ensemble and Roy HargroveÕs Afro-Cuban jazz band Crisol. Chucho has now gone solo. His music has reached the markets of the world and he constantly tours. A few years back he became indocrinated in the Santeria belief and he appears to have started to work elements of this into his compositions. Danilo Perez is the man to see if you happen to be frequenting a Jazz festival. He is not cuban, but I included him here, because he plays in the Afro-Cuban, Jazz idiom. He was born in Panama and like his peers, he was introduced to music,when he was a child, by his father, a bandleader and singer. 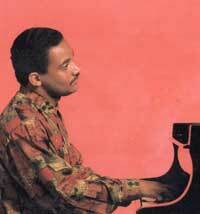 He was the musical director and pianist for Paquita de Rivera Havanna-New York Music Ensemble. 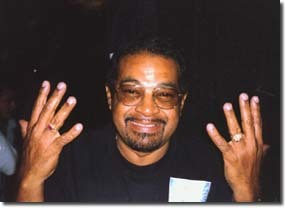 Danilo also was in Dizzy Gillespie's United Nations Orchestra for four years. He has had a an amazing musical career, that has led him on a path with many gifted musicians of the last century. He now lives in Boston and where he reunited with Roy Haynes. Together with John Patitucci on bass, the trio has made some amazing sounds. He is a generous soul who has embrassed the community at large with his music and gifts to share.